Full Padded Seat Back for older models AM-12 and AM-16 that featured the gray plastic seat back. 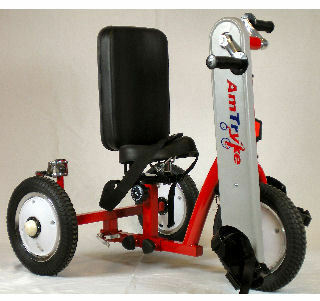 The full padded back replaces the plastic seat back. 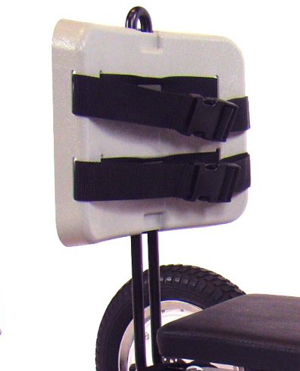 The full padded back provides additional trunk support for riders with low muscle tone. Replaces the gray plastic back/2 straps. 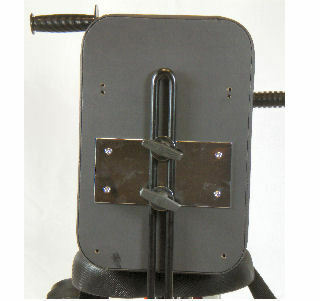 Comes with brackets for mounting H-Harness. Measures 10 inches wide by 15 inches tall. Photo shows the padded back installed on a AM-12.